This tutorial is on how to rotate images and layers in Photoshop. I’ll show you how to rotate a canvas from the Image Menu and how to turn a layer using the Free Transform Tool. Reach out to me if you have any questions on this tutorial or anything else Photoshop, graphic design, video or post production-related. I’m here to help you emotionally, mentally and technically as a creative professional. I want to make you a better video editor. That’s what I’ve been doing through my site, YouTube channel and other avenues for the past year. Pretty much this entire time I’ve been helping a faceless audience. I’ve been guessing at what you want to learn and hoping I’m using something relatable to be able to teach you. I know it’s working for a lot of you (I love the thank you emails I get!). However a lot of the time I still don’t know what you are struggling with. You, the one reading my words right now, I want to help you. That’s why I want to be your coach. I can keep my family time and EVF content creation time but not be able to help these individuals in the way that they want/need help since email and screen shots aren’t enough sometimes. Neither option works for me. I cannot justify helping one individual person at the expense of not being able to create content for this site (and thus helping many). It isn’t fair to everyone else…that means you! My family time will always come first and with my limited free time I need some grounds for cutting out on one of them. 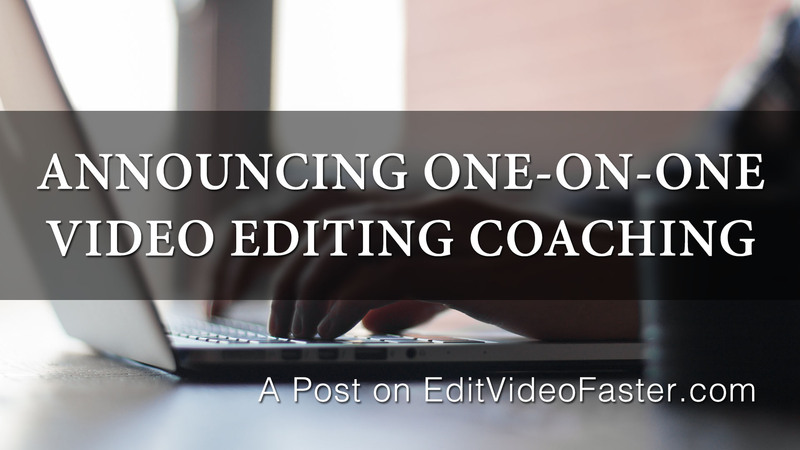 That justification comes in the form of private, one-on-one premium coaching. This tutorial is on foreground and background colors in Adobe Photoshop. I’ll show you what these are, how to change them, how to fill your background and a bunch of keyboard shortcuts. This tutorial is on how to use the Clone Stamp Tool in Photoshop. I’ll remove a object from the sky in a picture I took of the Golden Pavilion in Kyoto, Japan. This tutorial is on how add an Alpha Channel in Adobe Photoshop. I’ll show you how to create an alpha channel from a selection, how to create an alpha channel from multiple selections, how to delete an alpha channel and more. Question of the Week: What’s the first version of Photoshop you’ve ever used? My answer to the question is in the comments on YouTube!